The Hyundai Accent subcompact receives a full redesign for 2012, which includes updated exterior styling, a new fuel-efficient 4-cylinder engine, a revamped interior and cutting-edge safety features. Some owners report they're not getting promised fuel-economy numbers from their Accents, while others say the Accent's handling can feel a little too loose at times. Hyundai continues its assault on its competitors by introducing an all-new 2012 Accent, which displays the same flowing exterior lines as the automaker's popular Sonata and Elantra sedans. In addition, the automaker has given the Accent's cabin a complete makeover that's surprisingly upscale for a subcompact. While the new Accent may have a few drawbacks, overall it demonstrates once again that Hyundai is an automaker on the move. In 2010, Hyundai breathed some fresh air into its lineup, and took a major leap forward as an automaker, by introducing its "Fluidic Sculpture" exterior design theme on the fifth-generation Elanta compact car. 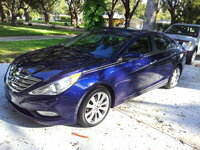 A year later, the sixth-generation Sonata midsize car debuted with the same dramatic exterior styling, to great acclaim. Now, for 2012, it's time for the Hyundai Accent subcompact car to get the Fluidic Sculpture makeover, and the results could be game-changing. For 2012, the redesigned, fourth-generation Hyundai Accent also gets a new powerplant delivering improved fuel-economy numbers, a longer wheelbase, an expanded array of safety features and an updated cabin that's surprisingly roomy for its class. To top it all off, Hyundai manages to keep the Accent’s pricetag in the affordable range, putting pressure on such competitors as the Ford Fiesta, the Honda Fit and the Mazda2. The Hyundai Accent comes in three trims for 2012, including the base 4-door GLS sedan, the well-equipped 5-door GS hatchback, and the sporty 5-door SE hatchback. The automaker has discontinued the 3-door Accent hatchback trim. All 2012 Accents stand out in a crowded field, thanks to their dynamic exterior shapes and fluid lines, part of Hyundai's global effort to give all its vehicles a sleek, futuristic and uniform look. The exterior reshaping also helps improve aerodynamics, with the Accent's coefficient of drag checking in at just 0.30. Up front, the Accent receives a new, eye-catching hexagonal front grille with chrome accents, bookmarked by swept-back headlights. Side and roof lines originating at the hood and grille sweep back toward the tail, giving the Accent a fresh, athletic appearance. At the rear, the GLS sedan trim gets horizontal taillights, while the hatchbacks get vertical taillights. The sporty SE also receives a roof-mounted spoiler. Other exterior design features, such as an engine undercover and a raised trunk edge, as well as a low curb weight (2,396 pounds for the sedan, 2,430 for the hatchback), help improve the Accent's fuel economy numbers. The redesigned Accent has gained the attention of the automotive press, and has garnered a number of awards. MotorWeek, for instance, gave the Accent its 2012 Drivers’ Choice Award for Best Subcompact Car, and Ward's AutoWorld named the Accent's new powerplant one of the 10 Best Engines for 2012. The Accent's award-winning, all-aluminum 1.6-liter Gamma 4-cylinder engine delivers 18 percent better fuel economy than the engine it replaces, thanks to such features as Gasoline Direct Injection (GDI), a first for the subcompact market segment. 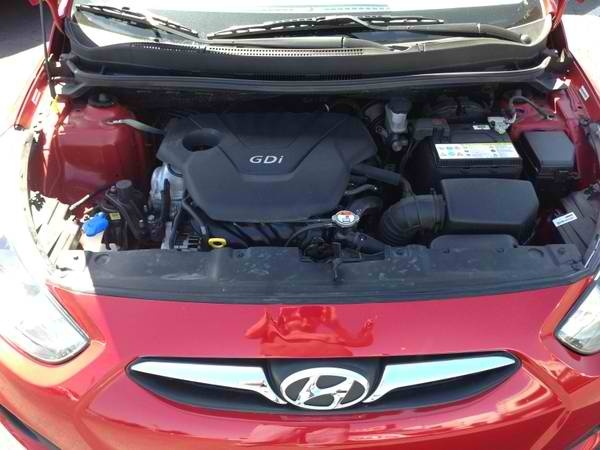 Direct injection helps improve the engine's performance and fuel economy while reducing emissions, Hyundai notes. Dual Continuously Variable Valve Timing (D-CVVT) also helps improve engine efficiency and fuel economy. As a result, the new 4-cylinder engine generates a best-in-class 138 hp and 123 lb-ft of torque while posting fuel economy numbers of 30/40 mpg. The Accent's horsepower number compares favorably with such competitors as the Ford Fiesta (112 hp), the Nissan Versa (109 hp), the Honda Fit (106 hp) and the Toyota Yaris (103 hp). A 6-speed manual transmission comes standard in all trims, although Hyundai also offers an optional 6-speed automatic transmission with Shiftronic, which enables drivers to change gears manually. The automatic transmission also includes an ActiveECO function, which modifies engine idle and transmission shift points to improve fuel economy by as much as an additional 7 percent, according to the automaker. As in previous years, Hyundai backs the powertrain with a 10-year, 100,000-mile warranty. By all indications, the new 4-cylinder powerplant with class-leading horsepower should deliver a lot of zip for the Accent, but reviews are mixed. Some testers feel the Accent's engine does a good job of moving the vehicle along during typical daily driving, with smooth acceleration. However, the engine doesn't deliver on the promise of its class-leading horsepower, as some reviewers note that the Accent struggles at times under heavy loads, or when climbing hills or passing at highway speeds. On the plus side, the engine runs quietly around town, but can get noisy at times when pushed and cause some vibration to feed through to the cabin. The redesigned Accent rides on a new front-wheel-drive platform that measures 101.2 inches, or 2.8 inches longer than the previous generation's. Overall length has jumped by 3.5 inches to 172 inches for the sedan and 162 inches for the hatchbacks. Width has increased slightly, by 0.2 inches, to 66.7 inches. The 2012 Accent's independent front MacPherson strut suspension includes coil springs and gas shock absorbers, while the rear gets a torsion axle configuration with coil springs and monotube shock absorbers. The result, say testers, is a balanced, solid ride, though not with the toss-about, sporty handling of such competitors as the Mazda2. In addition, there's some body lean in tight corners. 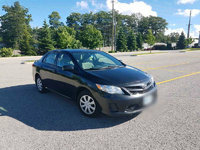 However, most reviewers find the Accent's ride and handling a good match for typical around-town driving. Power rack-and-pinion steering comes standard on the Accent. While some testers say the steering system provides nimble handling, others note that it's not as precise as the systems on some competitive vehicles. Buyers seeking a tighter steering feel should opt for the sport-oriented SE trim, which comes equipped with sport-tuned steering. The sportier system lowers the ratio of steering wheel revolutions, providing better responsiveness. The SE also rides on larger 16-inch alloy wheels, while the GLS and GS trims get 14-inch steel wheels. All Accent trims get low-rolling-resistance silica tires, which help reduce friction and drag. The 2012 Hyundai Accent seats 5 passengers in its well-designed cabin, which has an upscale feel, thanks to the high quality of many of the interior materials and surfaces. Controls are easy to reach and easy to use, according to testers, and the cloth-covered seats are supportive and comfortable. Even taller passengers will find adequate headroom and legroom in both the front and rear seats, though the rear seat sits low. The sedan offers less rear shoulder and headroom than the hatchback, so prospective buyers should opt for the 5-door trims if they're planning to carry taller passengers in the second row. One of the new Accent's biggest claims to fame is its now expansive cargo volume, a result of the longer wheelbase and wider body. With the rear seat up, the Accent offers 21.2 cubic feet of storage space, which compares favorably to such competitors as the Ford Fiesta (15.4 cubic feet), the Honda Fit (20.6) and the Nissan Versa (17.8). With the rear seat folded down, cargo space in the Accent jumps to 47.5 cubic feet. When equipped with the manual transmission, the entry-level GLS sedan comes with a stripped-down list of standard features that includes power door locks, remote keyless entry, a trip computer, a 60/40-split rear seat and 4 speakers. However, the manual GLS does not include an AM/FM radio, power windows, air conditioning, a radio or cruise control. However, Hyundai offers an optional package for the manual GLS that includes those features, or owners can add the automatic transmission, in which case all the additional features are included in the standard equipment list. Standard features for the mid-level GL hatchback, when equipped with either the manual or automatic transmission, include air conditioning, power windows and door locks, remote keyless entry and a 6-speaker AM/FM audio system with iPod and auxiliary input jacks. Cruise control is also included on GL trims equipped with the automatic transmission. At the top of the line, the sporty SE includes such standard features as Bluetooth, a leather-wrapped steering wheel, premium cloth seats and steering-wheel-mounted audio and cruise controls. The automaker offers an optional power sunroof for the SE, but other premium features, such as leather seats and a navigation system, are not available on the Accent. However, a Premium Package for the GLS does add all the additional features found on the SE. 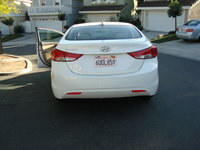 The redesign of the 2012 Hyundai Accent includes a number safety upgrades. Six airbags, a Vehicle Stability Management System, electronic stability control, traction control and 4-wheel antilock disc brakes with electronic brakeforce distribution and brake assist now come standard on the Accent. In addition, the front seats now feature active head restraints. The IIHS awarded the 2012 Accent a top rating of Good for protecting passengers during front and rollover crashes, but only an Acceptable rating for side crashes. Similarly, the NHTSA gave the Accent 4 out of 5 stars for protecting passengers in all three types of crashes, including frontal, side, and rollover, as well as an overall safety rating of 4 out of 5 stars. Most comments from owners echo what reviewers have already said about the 2012 Hyundai Accent. At the very least, the Accent's redesign has made it much more competitive with subcompacts from Honda, Mazda, Toyota, Kia and Ford. A number of owners have test-driven and compared several subcompacts from various automakers and have chosen the Accent for its value, fuel economy and styling, as well as for Hyundai's growing reputation for building well-equipped, reliable cars. Owners call the Accent a fun car to drive, though most admit it's not a sporty ride. Some owners find the Accent's handling a little loose, but most like the performance and ride. The Accent's fuel economy gets mixed reviews, with some owners reporting that their vehicles aren't achieving stated fuel economy numbers, and some adding that they aren't getting as much mileage out of a tank of gas as expected. On the other hand, other owners say they're consistently achieving mileage numbers in the mid-30s, although some say they're getting numbers in the mid-40s, and one owner even reports achieving 60 mpg with his Accent. Negative comments about the Accent are fairly typical for cars in the subcompact class. 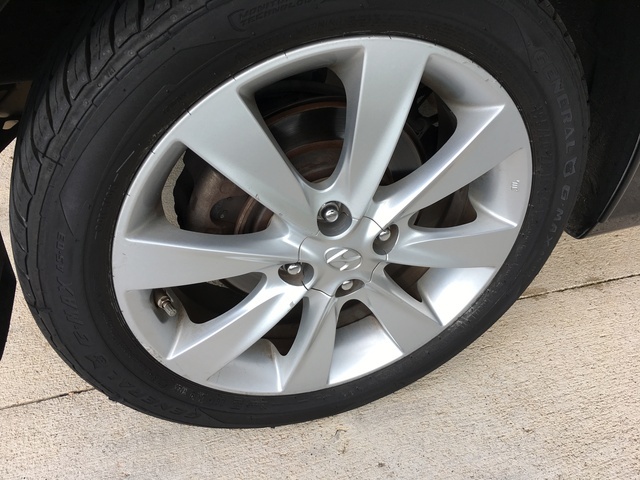 Some owners find fault with the volume of the audio system, for instance, while others decry the fact that there's no spare tire (the tires are run-flat). Others find visibility out the back is limited due to small rear windows, especially in the hatchback. Most owners agree, however, that the Accent provides a decent level of luxury for a subcompact car, and overall they're happy with their purchases. What's your take on the 2012 Hyundai Accent? Users ranked 2012 Hyundai Accent against other cars which they drove/owned. Each ranking was based on 9 categories. Here is the summary of top rankings. Have you driven a 2012 Hyundai Accent? Where is crankshaft position sensor? My Hyundai accent was engineer repair. And known won't start, if the alternate is close in, but if is not connected it start very well. What is wrong? Help me. What is the best weight oil 5w20 or 5w30 synthetic to make the car last the longest. 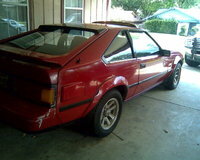 I bought it last summer drivetime, 75000 miles. Today i checked and it has 100,090 miles. Runs great but burns oil. Nearly every saturday it needs oil.